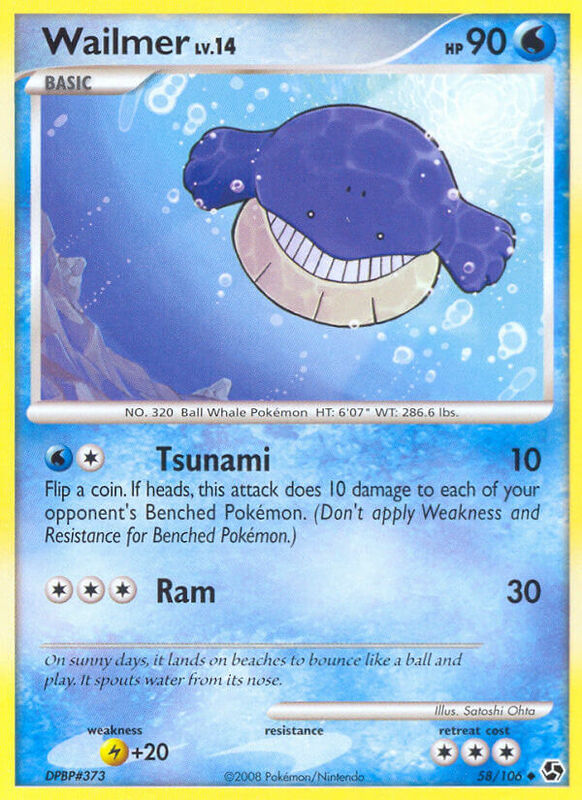 Does 20 damage plus 10 more damage for each [W] Energy attached to Wailmer but not used to pay for this attack’s Energy cost. You can’t add more than 20 damage in this way. 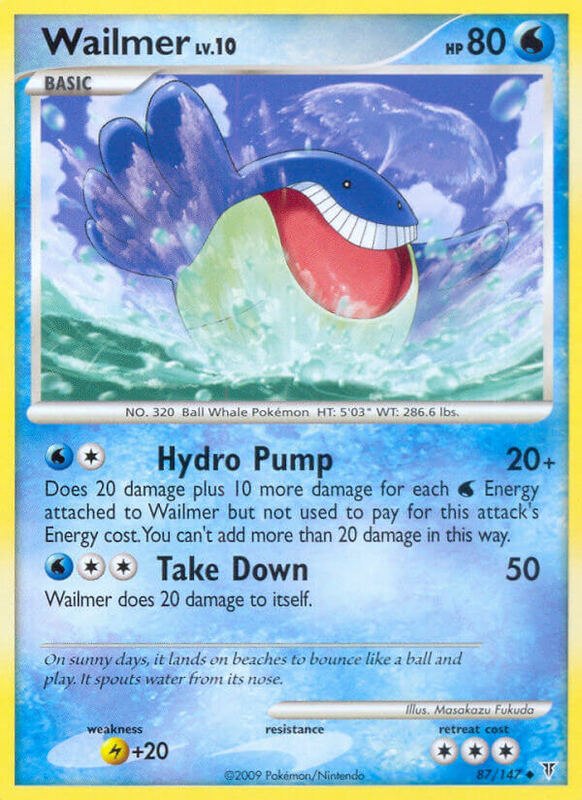 Wailmer does 20 damage to itself.